So there I was on the weekend, catching up with some back issues of Infinity, Inc from the late 80s (because that’s how I spend the ridiculously hot yet rare summer days here in the UK) when I came across #42. 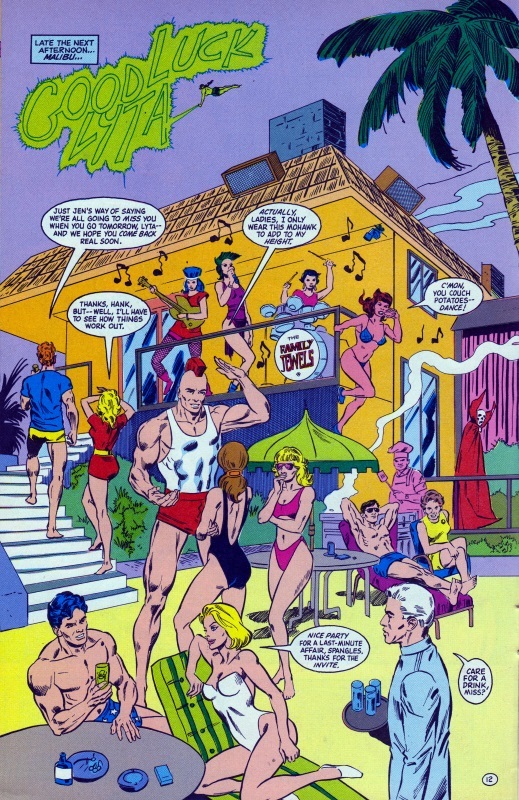 It’s nice to see a group of heroes relaxing every now and then as it makes a change from the constant round of battle after battle. 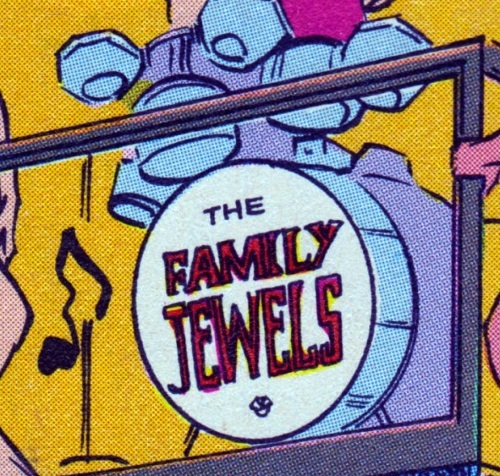 Now I don’t know if that’s there because of Roy and Dann Thomas, the writers, or whether one of the artists slipped it in for the hell of it, but The Family Jewels . . . honestly!? Whoever did it had some balls, that’s all I can say. Posted on Monday, June 19, 2017 Tuesday, October 16, 2018 by GaryPosted in UncategorizedTagged Fury, Infinity Inc, Wildcat (Yolanda Montez). Previous Previous post: Batman R.I.P. Next Next post: All The Criminals In Arkham?